﻿Th﻿e Presbytery of the Mid-South is composed of 41 churches which are “Serving Christ in Western Tennessee and South Eastern Missouri, and around the world through the missions of the Presbyterian Church (USA)”. These churches range in size from five members to over 1,500 members, and are located in small communities, mid-size towns and in major metropolitan areas. The mission work in these churches is manifested in many ways, such as serving in the local communities, joining together to build a home for the Habitat for Humanity; taking mission trips to work with the Presbyterian Disaster Assistance program; and installing water purification systems around the world through the Living Waters for the World program. Regardless of the size of the church, or its location, these churches have faithfully responded to the commission to spread the good news of the gospel of Jesus Christ. The Presbytery of the Mid-South has about 85 ministers who serve in a variety of capacities as Installed Pastors in Churches, Parish Associates, Temporary Supply Pastors, Professors, Chaplains, Pastoral Counselors, Missionaries, and Commissioned Lay Pastors. Also, there are campus ministries at Rhodes College, the University of Memphis (UKirk) and the University of Tennessee at Martin. 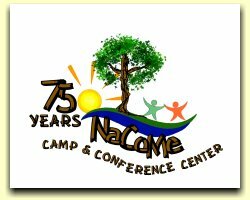 The Pinecrest & NaCoMe Camp and Conference Centers offer many programs for people of all ages and also provide a wonderful place for people to explore the wonders of God’s creation. The Resource Center, located in the Presbytery office, has many types of material to assist pastors and the local churches. Other ongoing of missions of the Presbytery of the Mid-South: Summer Youth Programs, Black Presbyterian Caucus Youth Leadership Development Conference, Montreat Middle School Conference at Maryville College, Family Promise of Memphis , and the First Presbyterian Soup Kitchen. You are invited to come join with us as we seek to serve the Lord with gladness!